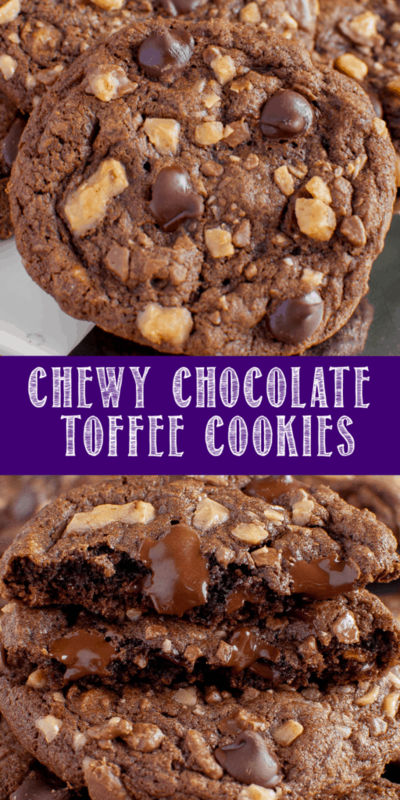 Chewy Chocolate Toffee Cookies are one of the best cookies you will ever eat! 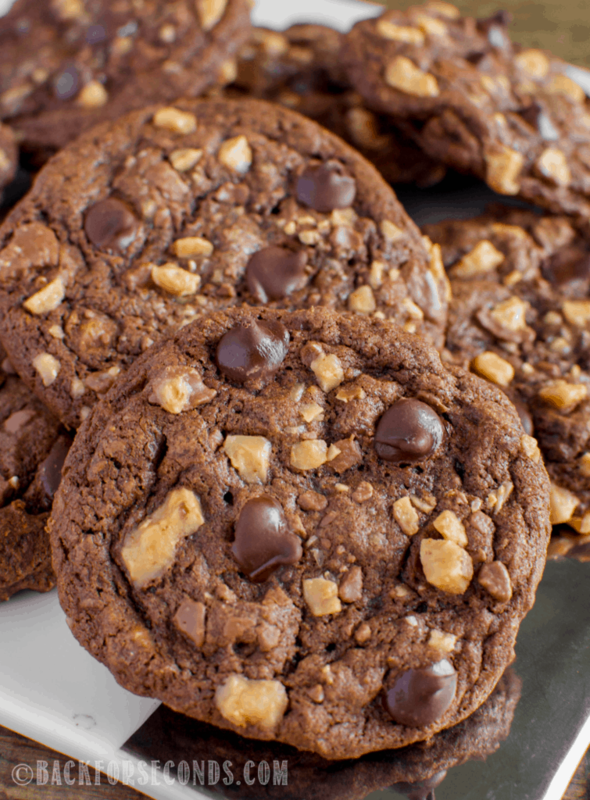 Fudgy and chewy, loaded with chocolate chips and crunchy Heath candy pieces! 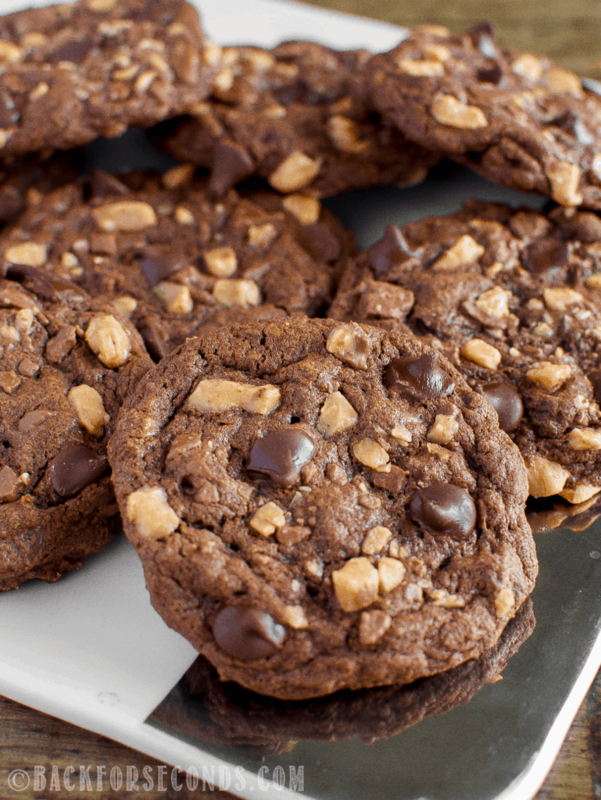 We make a lot of cookies in our house, and these immediately moved to the top of everyone’s list of favorites! 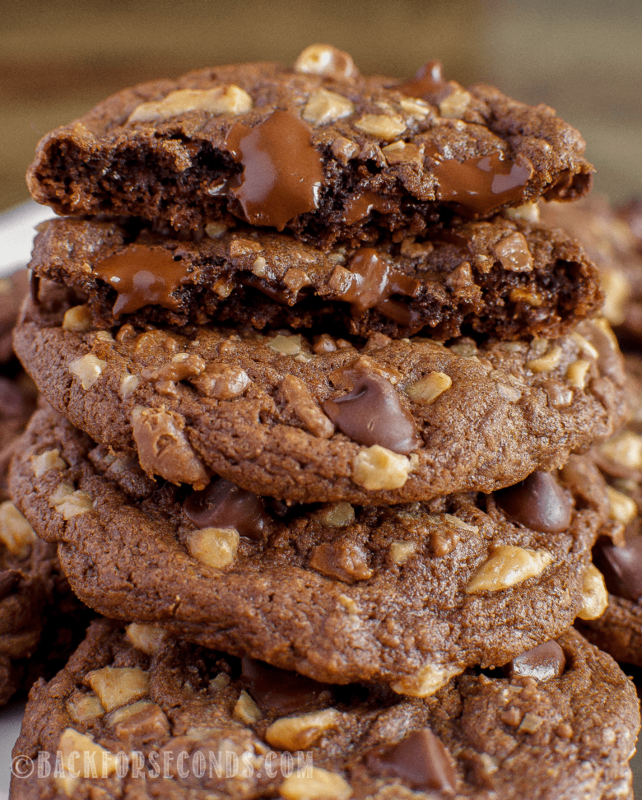 Possibly tied for a few of us with these soft and chewy Peanut Butter Toffee Cookies (I guess we love toffee in our cookies!). 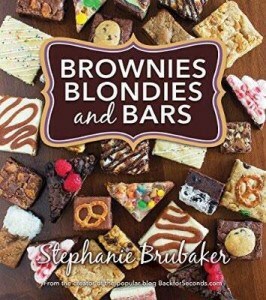 If you are in the mood for some bakery style, chewy, chocolate cookie perfection, I highly recommend making these asap! You won’t regret it! I make cookies with the kids at least once a week. Probably more like twice a week. Maybe we eat too many cookies?? I don’t want to think about that right now. 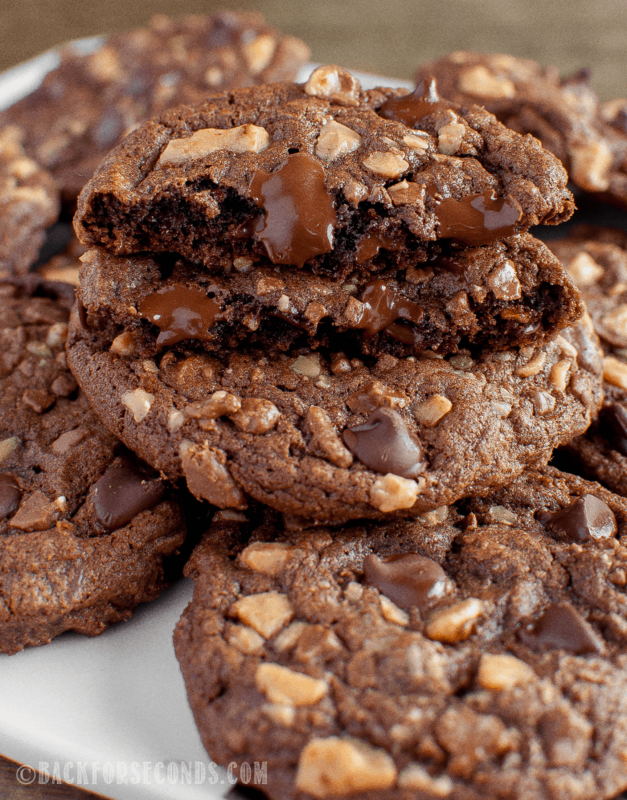 All I’m trying to say is that you need to make these Chewy Chocolate Toffee Cookies, like now. You can make the dough in advance and refrigerate it, but let it come to room temperature again before baking. If you bake them straight from the fridge they will barely spread and you will have cookie balls instead of cookies. These cookies freeze well! 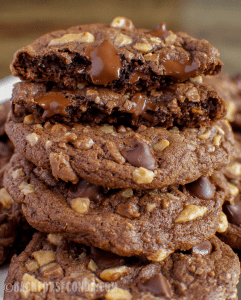 If you don’t go through cookies as fast as we do, no worries! Freeze half the batch for later! In a large mixing bowl, cream together the butter, cocoa, and sugar. Add salt, vanilla, baking powder, and eggs and mix well. Drop by 3 TBS scoops onto a silicone baking mat or parchment lined cookie sheet at least 2" apart. Bake for 10 minutes. Allow to cool a few minutes on the pan before transferring to wire rack to cool completely.